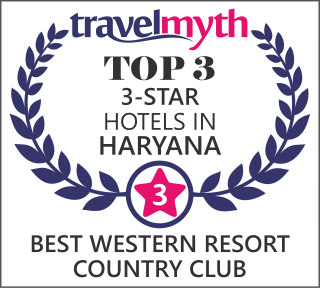 Best Western Resort Country Club It is spread over 50 green acres in the lap of Nature. The resort has authentic rural ambience, surrounded by green & yellow mustard fields. The lush green environment set in the most picturesque surrounding make Best Western Resort Country Club the perfect destination for Leisure and business travelers. It’s about 500 yards away from the main club & it’s spread over 5 green acres in the lap of Nature. It’s the first choice of the discerning leisure & business travelers, who are looking for an exclusive & peaceful place.